Despite improvements in many health indicators in Haiti, slightly over half the children born there are delivered without medical assistance and the country lacks health care workers. In an effort to combat these issues, in late February, the Honourable Marie-Claude Bibeau, Minister of International Development and La Francophonie, visited Haiti and announced support for three projects aimed at helping to build Haitian authorities’ capacity to recruit and train midwives in the most underserved region and improve access to sexual and reproductive health services for Haitian women. Dr. von Oettingen was first approached about participating in this initiative by Global Affairs Canada in early 2017. 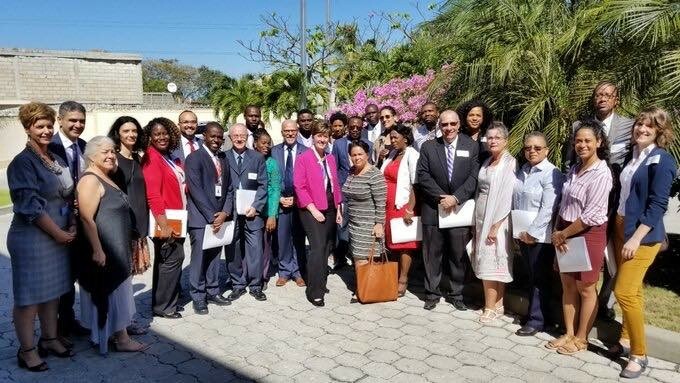 At the time the department was reaching out to Canadian organizations and institutions already involved in the health sector in Haiti and had heard about the research and medical education work in pediatric endocrinology that she had been doing in Haiti. She was invited to participate in planning meetings and to help prepare the Call to Action. She reached out to McGill’s Global Health Programs and to colleagues across McGill who are actively involved in projects in Haiti. The projects were added to the Canadian Partnership for Women and Children’s Health (CanWaCH) platform that has been developed to create a cartography of Canadian-Haitian health sector projects to facilitate better coordination of these projects and improve future collaboration and awareness of Canadian-Haitian activities. Students and trainees interested in participating in any of the projects being carried out in Haiti should contact McGIll Global Health Programs.